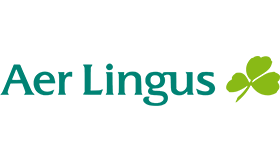 Aer Lingus was founded by the Irish government in 1936 to provide air service between Ireland and the UK. Today, the national airline of Ireland reaches major cities throughout Europe, North Africa, Turkey, and North America. A team of 500 developers, including QE testers and analysts, build and support the Aer Lingus website, from which travelers can search, book, and purchase flights. Previously, the team was using Bugzilla to track bugs, Microsoft Excel to create test cases, and Microsoft Word to document requirements. Like a short flight with multiple connections, Aer Lingus needed a more direct path to track and resolve bugs. The airline evaluated a number of tools and ultimately chose Jira for project management and bug tracking along with Confluence for documentation. To help with its Atlassian implementation, Aer Lingus enlisted Clearvision, an Atlassian Expert. Clearvision worked closely with the Aer Lingus team to help scope project requirements, implement the solution, and provide ongoing training, support, and guidance. Aer Lingus is now able to track projects all in one place, resulting in complete transparency. Since implementing Jira and Confluence, the dev team saves time and is able to release fixes and new features for the website faster and more efficiently. After seeing the success of the dev team, non-technical employees started to explore Jira and Confluence for other areas of the business, including project initiation documentation, commercial business development, call center issue tracking, and more.